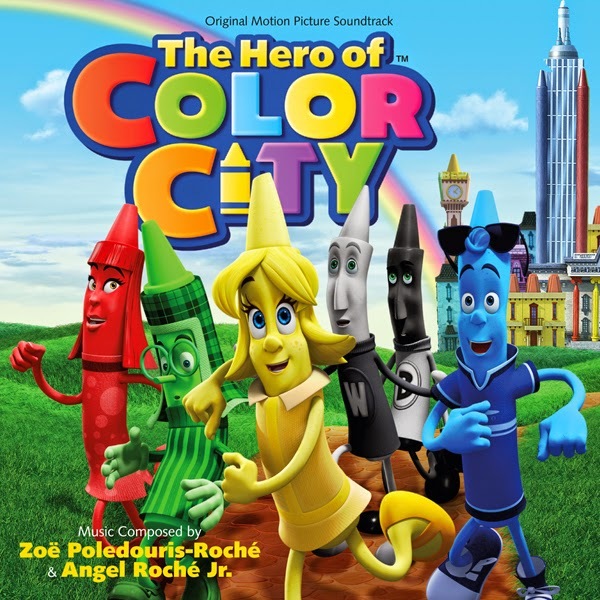 Howlin' Wolf Records: SIX STRINGS: Varese Sarabande: THE HERO OF COLOR CITY  - Zoë Poledouris-Roché and Angel Roché Jr.
Varese Sarabande: THE HERO OF COLOR CITY  - Zoë Poledouris-Roché and Angel Roché Jr.
Varèse Sarabande Records will release THE HERO OF COLOR CITY – Original Motion Picture Soundtrack digitally on October 7th and on CD October 28, 2014, featuring original songs and score composed by Zoë Poledouris-Roché & Angel Roché Jr. 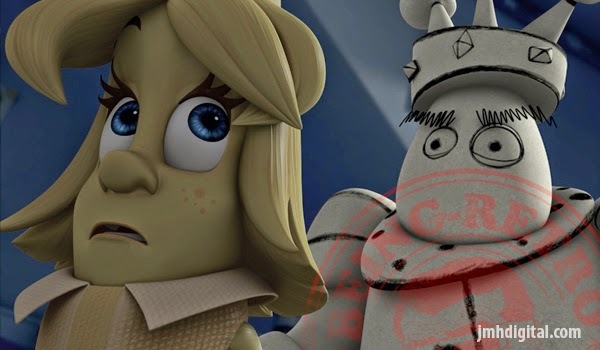 The first digital single from the album is the joyful song “Color the World,” performed by the duo accompanied by a children’s chorus, to be released on September 30th. Zoë Poledouris-Roché & Angel Roché Jr. are partners that translate the experience of their life together into a tapestry of rock, urban, indie, punk and orchestral music. A Fellow of the Sundance Institute Composer’s Lab, Zoë boasts songwriting and scoring credits for major motion pictures (STARSHIP TROOPERS, SHADOW OF DOUBT) and multiple festival favorites (WHITE OF WINTER). She is the eldest daughter of late film composer Basil Poledouris.